How Did Delta Tau Delta Make You the Man You Are Today? We all gained invaluable lifelong benefits from Delta Tau Delta. Did you learn about leadership at Delta Tau Delta? Do the fraternity's core values play a role in your life today? Did you make a romantic or career connection thanks to Delta Tau Delta? Let us know how Delta Tau Delta helped make you the man you are today. Click here to share your stories. Last Chance to be Added to the 2015-16 Honor Roll! At the beginning of this annual fund giving year, which began on September 1, 2015, we set a goal to receive $12,000 from 75 donors. So far, we are roughly 93% of the way to our goal with $11,205 from 60 donors. This is the last month to make a donation to the 2015-16 annual fund and have your name added to the Honor Roll.Please consider making your donation today. Click below for four reasons why you should give back to Chi Chapter. What keeps us happy and healthy as we go through life? For many people, the first things that come to mind are fame, wealth and working harder than everyone else to get ahead. As it turns out, however, what defines our quality of life, how long we will live and how happy we will be lies within our relationships—our families, our marriages and, of course, our brotherhood. CLICK HERE to watch a 12 minute TEDTalk video about how our relationships define our happiness and think about all of people closest to you. What relationships have impacted you and your happiness—both inside and outside the brotherhood? Who has always been there for you? Who do you look up to as a role model? What news do you want to share with the rest of our brothers, especially those you might not have seen since graduation? Share your stories here. Check Out These Photos From Open House! Chi Chapter recently held their open house on May 28. Luckily, we were able to sneak some photos of the Brothers. Click below to check them out! 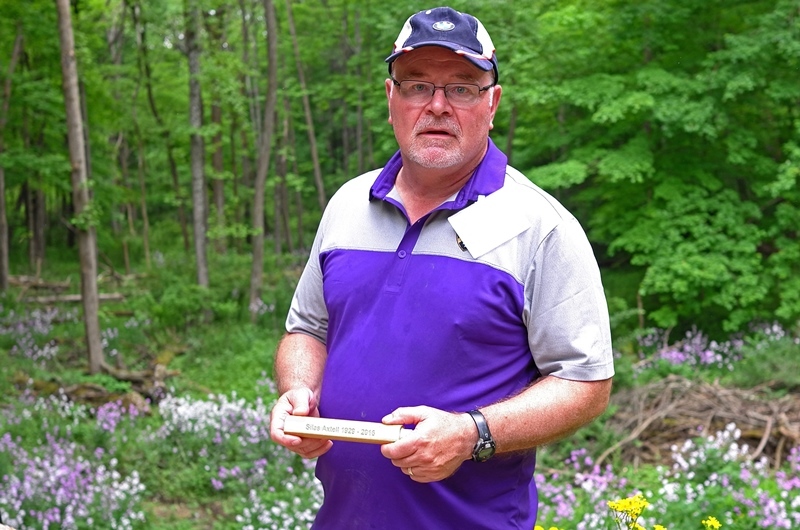 On Saturday, May 28, Blake Axtell '75 spread his father, Silas Axtell '52's ashes at The Lodge, per his father's wishes. "This will please my mother as well as she has fond memories of Kenyon," Blake wrote to Jeff Mortiz. Click below to read Blake's full letter. An integral part of some of the first few varsity lacrosse teams at Kenyon, Jerry Ellsworth helped put the Lords program on the map. He worked with head coach Bill Stiles and others familiar with the 'new' game to recruit players and teach fundamentals. His efforts paid off in the form of winning records in both the 1951 (8-4) and 1952 (8-1-2) seasons. In his senior season of 1952, Ellsworth was named an honorable mention on the USILA All-America Team and he became just the third player in Kenyon history to earn a spot in the USILA North/South Senior All-Star Game. Three Delts received the Chi Merit Scholarship from the Chi Educational Foundation this past semester. Two other Delts received the Robert D. Burns Scholarship. Click below for more details. Who are fraternity men? They are military heroes, servicemen, strong and inspirational men, musicians, celebrities, pastors, activists, humanitarians, visionaries, athletes and so much more. There is plenty of inspiration out there in the fraternity world and one way to find it is at I Am a Fraternity Man’s Facebook page. Check it out for your daily dose of fraternity news and submit your own stories about outstanding brothers right here in Chi Chapter. Our Goal Is Within Reach! At the beginning of our 2015-16 annual fund giving year (September 1), we established a goal of $12,000 from at least 75 Brothers. With only four full months left to give before it ends on August 31, we have received $9,645 from 42 Brothers. Not bad! We appreciate any and all donations and want to thank all those Brothers who already contributed. However, we have raised more than $12K in past years and are more than capable of doing so again this year. Click below to see who has contributed so far and to make your donation today! Brother Manjul Bhusal Sharma ’16: Back At It Again! Brother Manjul Bhusal Sharma ’16 has been hard at work raising money and awareness for a non-profit organization he co-founded, Reinstalling Hope. One year ago this month, a massive earthquake struck between his home, Kathmandu, and Pokhara, two major cities in Nepal. He wrote an article about the experience, which was published by Ohio’s largest newspaper, the Cleveland Plain Dealer. 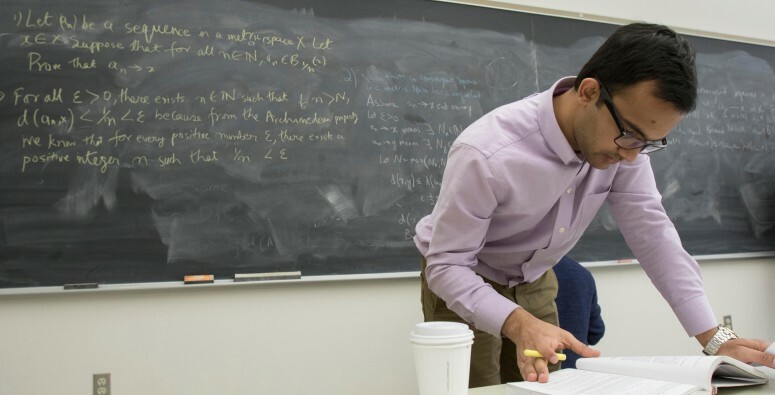 Manjul is back in the news again this month after being profiled on Kenyon’s website. Click below for more information. 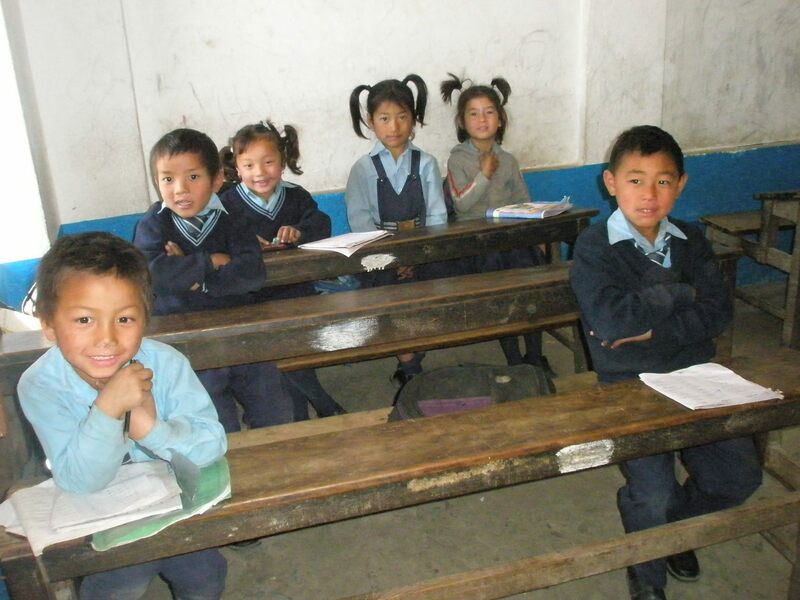 Senior Chi Delt Manjul Bhusal Sharma ’16 helps run an organization called Reinstalling Hope, which is currently in the midst of a fundraiser to help Nepal offer education to children in the Kathmandu area. This March, we are asking people to pledge $5 by the 26th and then get five more people you know to pledge the same amount. All donors will be recognized on the Reinstalling Hope Facebook page. “Being an international student from Nepal, this issue is very close to my heart and it would mean a lot to me if my fellow Delt brothers helped out,” says Brother Sharma. It is with heavy hearts that we announce the passing of Brothers Robert Mitchell ’39, Charles DeWitt ’51 and J. Benjamin Rice ’57. Though they are no longer with us, they will remain forever in the hearts and memories of their families and friends. Click below for more information. The Alumni Association’s mission is threefold: i) own and maintain our Lodge; ii) mentor the undergraduate Chapter; and iii) enhance communication among alumni. 2015 was a very active year for the Alumni Association and we had many successful projects that furthered our mission. 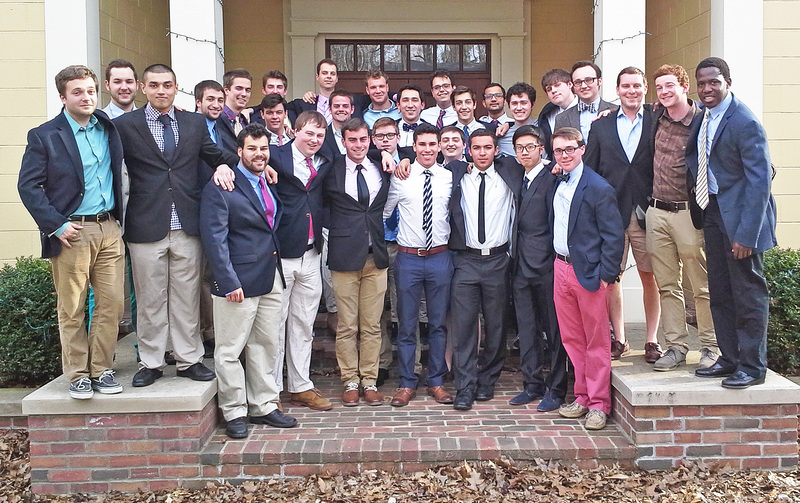 Chi Chapter welcomes seven new pledges! Congratulations, gentlemen! Click below for a full list of new pledges and where they’re from. Brother Doug Vahey ’86 is looking for millennial brothers to test a beta-version of a production offered by his startup company. Click below for more details. Last month we asked each of you who met your significant others through Chi Chapter to share your love stories with the rest of us in honor of Valentine’s Day. 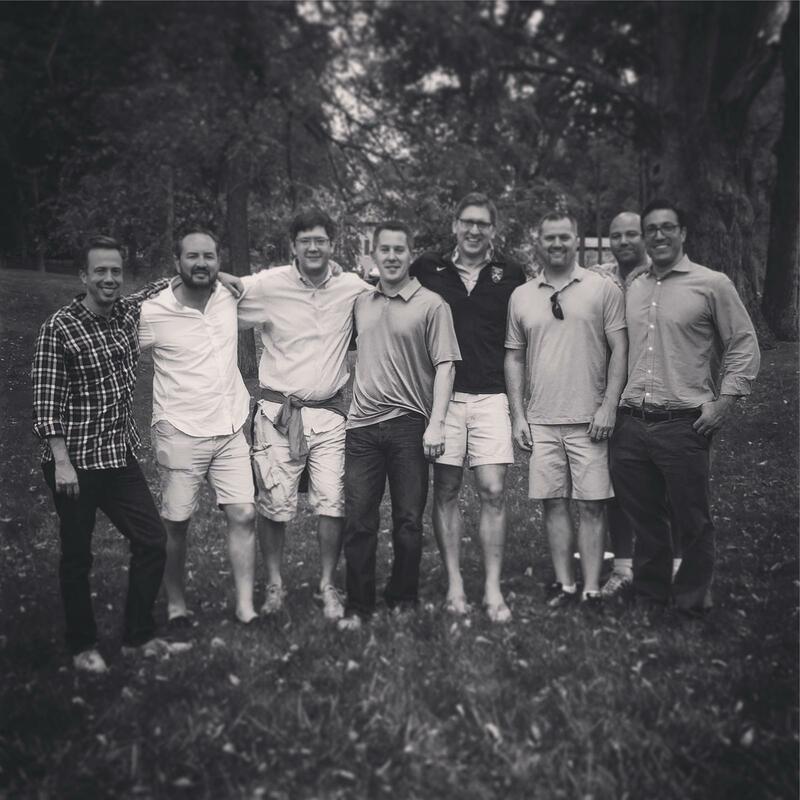 Click below to see which of your brothers met their other half through DTD Kenyon. 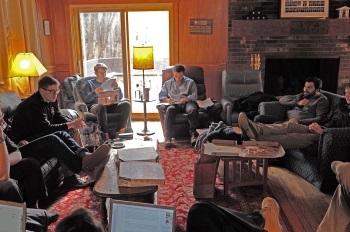 On January 23, Chi Chapter held our first winter retreat at the lodge. We opened the retreat by discussing the state of Chi Chapter, our strengths and weaknesses and what we want Delta Tau Delta to represent; our main takeaway from this conversation was we want to renew our emphasis on fraternal brotherhood in the coming year. 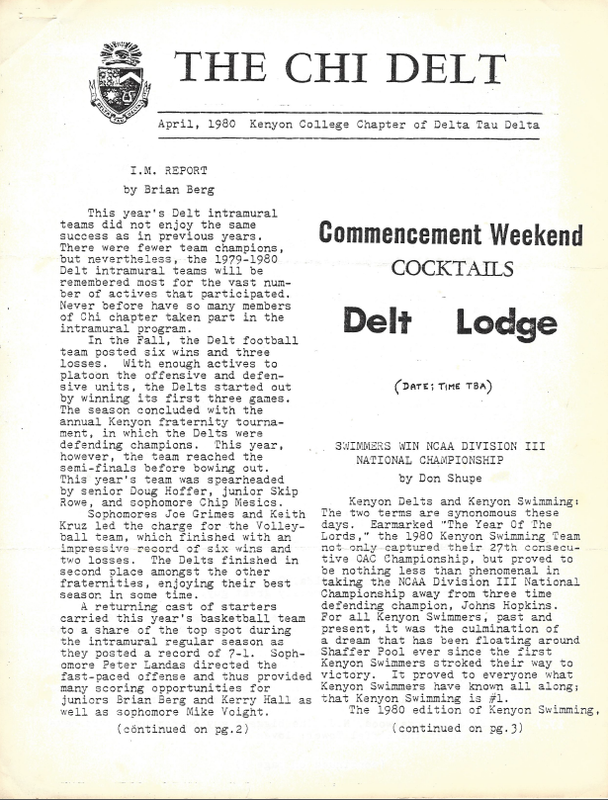 Brother John Cannon '80 was nice enough to submit a very old The Chi Delt newsletter. Nowadays we have the entire world at our fingertips via the internet on thousands of devices between computers, cell phones, tablets and even watches! In 1980, these things were still science fiction (though we were getting close!) Click below to see what our newsletters looked like right before the dawn of the internet. Happy 135th Anniversary, Chi Chapter! January 25th of this year marks the 135th anniversary of Chi Chapter's founding. Chi Chapter was founded in 1881 and has been in continuous existence since. We want to take the time to thank each and every one of our outstanding brothers for their ongoing support and for making this chapter something we can all truly be proud of. Looking to donate to both the Kenyon College Annual Fund and Delta Tau Delta? You can designate your Kenyon Annual Fund donation to the Robert Burns Scholarship Fund. The Fund was started by Kenyon Delt alumni to honor long-time faculty advisor Doc Burns. 100% of the Fund goes to support Kenyon members of Delta Tau Delta. Just indicate on your annual fund contribution form that you want the donation directed to the Robert Burns Scholarship Fund. As it always seems to do, this year has flown by. Before we know it, the holidays will be over and 2016 will be staring us in the face. So, while you’re stuffing your face, opening presents, catching up with relatives, and drinking a glass (or six) of wine, think about what kind of goals you want to set for yourself for the new year. But don’t stop there! 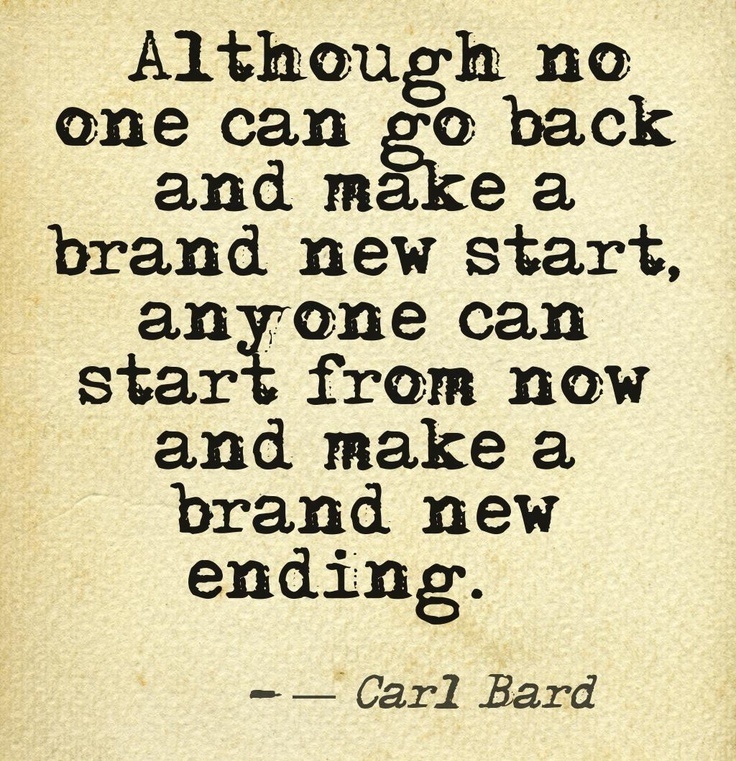 The new year is the perfect time to make changes in every aspect of your life, including DTD. During this, the most wonderful time of the year, DTD needs your help! In the middle of the holiday season, there are things that get looked past, put on the back-burner due to other, seemingly more important priorities. Don’t leave your financial contribution to DTD on the back-burner this year! Are You Continuing to Honor the Delt Values? Delta Tau Delta is a values-based organization. Our mission and values are offered to the public as a representation of the core values contained in our Ritual. All Delt men live by a common mission: "Committed to Lives of Excellence." All programs offered by the Fraternity reflect our values, and are designed to help the men of our Fraternity reach the level of excellence for which we all strive. Did You Receive a Copy of the Chi Delt? We recently mailed out our bi-annual print newsletter, The Chi Delt, to each alum who registered a mailing address with us. Inside was important financial report information, obituaries, interesting alumni stories, chapter updates from the undergrads and more. If you missed out, be sure to submit an update today with your current mailing address so you’ll be included in our next mailing. What Did You Gain From DTD? "A member of a fraternity has an immediate support group that will become life-long friends. Joining a fraternity is more than just something you do in college. It is a commitment for a lifetime." Your life-long friends are waiting to hear what you've been up to! Click below for more information on how you can keep your brothers in-the-know. In honor of Veterans Day this month, we compiled a list of our Chi Chapter servicemen and veterans along with any information we could find. We have only scratched the surface and we need your help to build our list, tell the stories and pay tribute to these men who have excelled with honor. This past giving year was our best in both number of donors and amount raised. Thank you to the 59 brothers who made contributions in the 2014-2015 giving year. With donations and expenses varying year-to-year, we know it's important to stay up-to-date on the chapter's financial situation. Click below to check out our financial report for the past year. On September 19, Kenyon inducted Jeff Katowitz (Chi ’90) into the Kenyon Athletic Hall of Fame. Jeff is the only male athlete in Kenyon track and field history to win at least one All-America award in four consecutive seasons. It has been a wonderful year for Delta Tau Delta. With the addition of 10 new members, we have increased our total membership to 30 actives on campus. Our chapter’s goal for the upcoming academic year is focusing on the future. We began the year with a career retreat that focused on writing résumés and cover letters. As we continue this academic year we plan on hosting an event with the CDO (Kenyon’s Career Development Office) to further our career pursuits. Click below to hear about some particularly outstanding actives. On September 19th, over 50 alumni, actives, and invited guests of Delta Tau Delta (Chi Chapter) at Kenyon College convened at The Shelter for a morning of networking and mentorship. 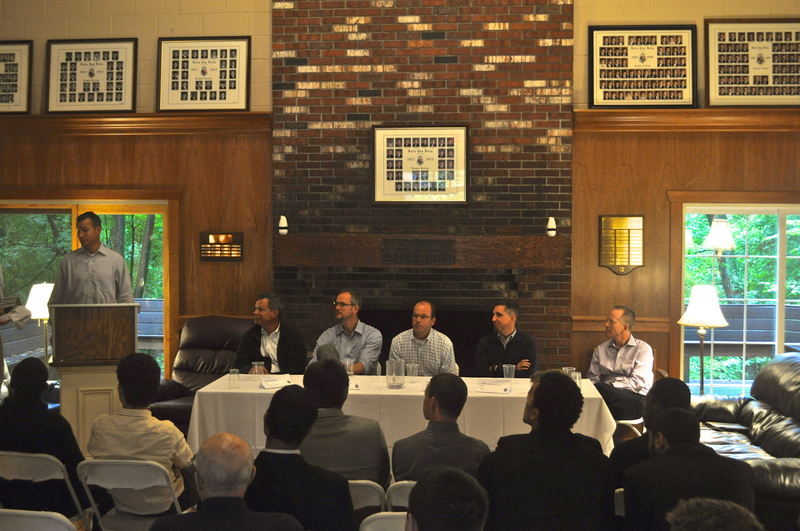 The event marked the fourth annual Byron Horn Mentorship Panel. Undergraduates were provided with a unique opportunity to interface with established alumni in their intended career discipline. In addition to receiving valuable career advice, actives are also learning how to leverage their experiences as Delts to obtain highly competitive entry level positions and admittance to graduate school. A brand new school year means a brand new football season. You know what that means don’t you? Tailgating season! This would be a perfect time to come back and spend some quality time with your brothers. Which games are you coming back for? What are your favorite tailgating memories? Let us know in the Facebook comment box here. Our 2014-2015 giving year just recently ended. We wanted to take the time to thank those of you who contributed back to the brotherhood. We were very close to reaching our goal of 63 donors (only five donors shy to be exact) and we raised $13,420! Let’s see if we can do better this giving year. We have already had five donations totaling $900 this month and hopefully we can keep up this momentum. Remember, as Delta Tau Delta alumni, it falls on us to give future generations of Delts the experience we had and a chance to succeed! If you haven’t made your donation yet, you can do so here. As I look back over the past academic year, one theme continues to resonate with me...perspective. A quick scan of the headlines would make you think Greek life is in trouble...that the movement, as a whole, has lost its way as members of Greek-letter social organizations continue to misbehave. We need to remember that perception is not reality. The truth is there has never been a better time to be Greek...particularly a Delt! Is this the direction fraternities are going? Is the public getting the wrong impression? Do fraternities still uphold core values and morals? How would you feel if your fraternity was shut down? Read more and let us know! With the new school year starting shortly, it seemed like a wonderful time to reminisce and look through some old photos. So, we blew the dust off some great photos that have been hanging out in our archives. DTD: A Breeding Ground For Success! Did you know that one of our very own DTD Brothers, Tim Stautberg ’85, is the CEO of Journal Media Group? Tim certainly did not cut corners in the pursuit of excellence, and he has donated over $1,500 back to the brotherhood. Thank you, Tim! DTD has plenty more presidents and CEOs where Tim came from. Click below to see which of your brothers have made their way to the top! Join us Homecoming Weekend, September 18-19, 2015, for the Byron J. Horn Leadership Panel and Chauncey’s Tailgate. Delt alumni will speak about how the skills they developed as Delts and student-athletes have served them well in their lives beyond Kenyon. It is with heavy hearts that we announce the passing of two dear brothers, David S. Fuhrmann '87 and William H. McOwen 1948 P'94. Click below for their full obituaries. 2015 Reunion Weekend Open House Was a Success! 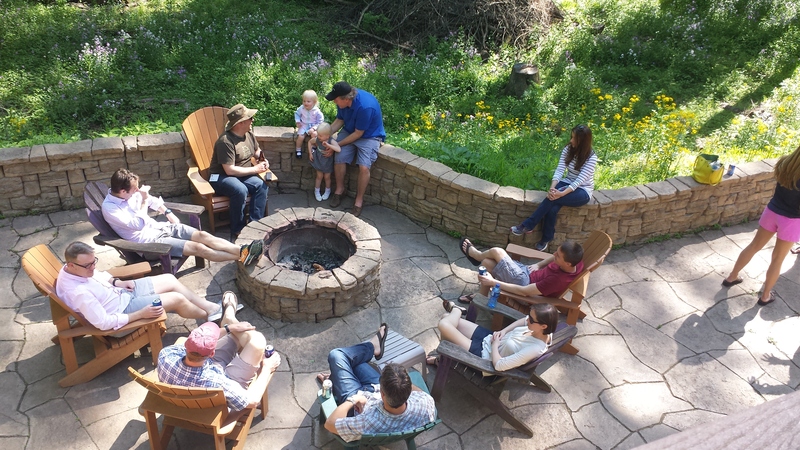 Over 25 alumni, family and friends gathered at the lodge over reunion weekend. Well represented were the classes of 1970, 1975, 1990 and 1995. Were you at the Reunion Weekend Open House? Do you have any photos you would like to share? Upload them here! Chris Todd Burgess ’90 has been leading an exciting life since his time at Kenyon and is now the Managing Director for Pictet Wealth Management in Hong Kong. One of the best parts of the job, Chris says, is that it allows him to spend loads of time with his family. “Relationships are extremely important in life,” Chris said, and he recommends that all Delts cultivate relationships as much as possible. Click below to hear more about Chris and his advice to fellow Delts. What Do YOU Want From Delta Tau Delta? As brothers, we truly are all in this together. That’s why we want to know what you think! What kind of events would you like to attend with your brothers? What do you absolutely love about Delta Tau Delta? What would make your Delta Tau Delta experience better? CLICK HERE for a brief survey and let your voice be heard! Then, keep an eye out to future eLetters to see what your brothers had to say. Reunion Weekend is this weekend! Don't forget to come back, relive the glory days and make some new memories with your Brothers. In a world where breaking news is ideal, it is important to ensure that your contact information is up to date. Consider this email a confirmation that you will be receiving the most recent news from Chi Chapter. Unfortunately, not all of your brothers are as lucky. In fact, 136 of them are “lost”! Click below to see which of your brothers are missing and how you can help. 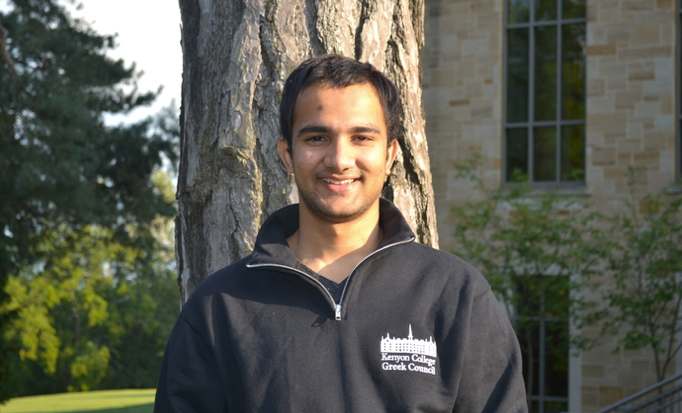 Kenyon College awarded Manjul Bhusal Sharma '16 with the Robert D. Burns Scholarship for the 2015-16 academic year. The scholarship was established in 2010 by alumni of Delta Tau Delta Fraternity in honor of professor emeritus and long-time Delta Tau Delta faculty adviser, Robert D. Burns. The recipients were chosen by a committee of alumni and advisors of Chi Chapter including Jan Kmetko, faculty advisor; Drew McFarland, chapter advisor; Paul Schmid '04; John DePowell '02; and Tim Barry '16. The committee selected Manjul because he represented the ideals of Delta Tau Delta Fraternity, including academic excellence, involvement in the Fraternity and Kenyon community, leadership, and strong character. Congrats, Manjul! Funny How Time Flies … 4 Months Left! College days … here and gone. Kids … babies one day, teenagers asking to borrow the car the next. Before you know it, your honeymoon has turned into your 20th (or 30th or 40th) wedding anniversary. Funny how the time flies, but, at certain points, we stop the clock. We do something to make sure we remember the people, times, and places that made our lives special. As we close in on the final four months of our 2014-15 annual fund giving year, we are asking you to do just that. So, CARPE DIEM! 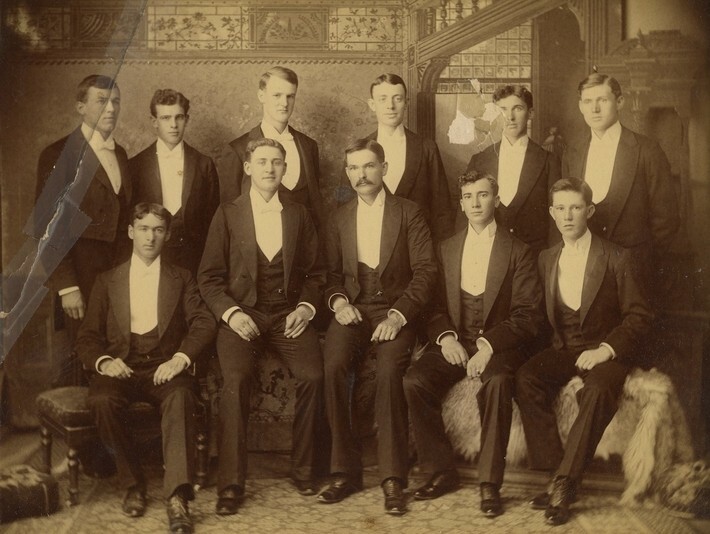 Stop for a moment and make a gift that commemorates your Chi Delt days at Kenyon College. Click below to make your gift today. We are pleased to announce that Chi Chapter has successfully initiated 10 new members into our brotherhood this spring semester. We welcome them and look forward to telling you more about their accomplishments in the coming semesters. Click below for their names and hometowns. On Tuesday, April 7, 2015, Kenyon College recognized both faculty and students receiving prestigious academic fellowships, scholarships and other honors. Among the honorees this spring were two Chi brothers. Kurt Karakul ’73 was awarded a Doctor of Law degree, and H. Bennett Stephens ’15 was awarded the Maxwell Elliott Power Prize in biology. This time of year encourages us to take a step back, pause, and take a moment to think about and be thankful for the opportunities we have been given. We want to thank YOU wholeheartedly for your support of Chi Chapter. The goal of our alumni relations and communications program is to keep our alumni connected to each other and the chapter. And, at the core, isn’t that what the holidays are all about? This holiday season, we hope you enjoy many opportunities to reconnect with loved ones and share fun times with family and friends. As the new year is approaching, it is also time for new leadership in the undergraduate chapter. Take the time this holiday season to reflect on the successes of the previous Executive Board, and to congratulate the New Officers listed below! Ah, Thanksgiving. A time celebrated in America by eating way too much food, probably drinking too much, and falling asleep to football. 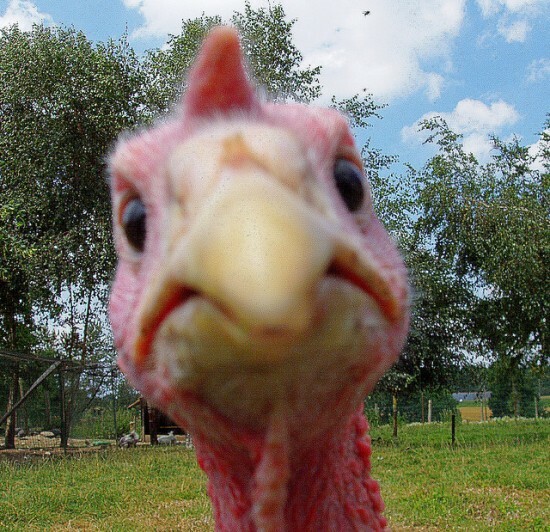 But it also celebrated frequently by saying what exactly we’re thankful for this late autumn. …and he asks for your ID. Some of your addresses on your ID are blank! We are missing mailing addresses for only 28 of our living alumni! Help us find the rest, please! 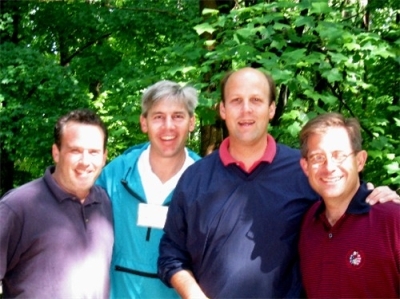 2005 Reunion Weekend: Pete Propp ’85, Tim Stautberg ’85, Bill Taylor ’85, and Harvey Stephens ’85 enjoying beverages on the back deck at the Lodge, May 2005. We are looking for Chi Chapter photos past, present, and future! One of the best things about being an alum is looking back at photographs of your years with DTD at Kenyon. You might be embarrassed of your clothes or haircut, but the pictures bring back fond memories of the experiences you had. We’re always looking for more photos to add to our collection and share with other alumni! Named for James D. Cox '60, the new Cox Health and Counseling Center on Scott Lane is a state-of-the-art medical facility offering health and counseling services to all Kenyon students. The official dedication is planned for October. Two-story, 8,500-square-foot facility designed by Graham Gund '63 of Gund Partnership in Cambridge, Mass. No one is prouder of the new Cox Health and Counseling Center than those who work there. But informal tours by excited visitors have become something of a distraction. Cullers said the staff is still putting files away, stocking cupboards and learning to use some of the new equipment. They’re also still seeing student patients during the summer months. To help the Health Center staff get settled, Cullers asks that faculty, staff and students postpone stopping in for a look at the building until a later date. Formal tours will be given soon after classes start next month and again in October near the Kenyon College Board of Trustees meeting. Watch for updates on the Campus Progress page of the website: http://www.kenyon.edu/campus-progress/. "I wondered why somebody didn't do something. Then, I realized, I am somebody." Does it matter who said it? No. What matters is that we have those "somebodies" who have chosen to give to our Annual Fund for the very first time this year. Click below to find out who those "somebodies" are and to join them on our Honor Roll. Check out what we found in the vault! On September 13, over 50 alumni, actives, and invited guests of Chi Chapter convened at The Shelter for a morning of networking and mentorship. The event marked the third annual Byron Horn Mentorship Panel. Undergraduates were provided with a unique opportunity to interface with established alumni in their intended career discipline. In addition to receiving valuable career advice, actives are also learning how to leverage their experiences as Delts to obtain highly competitive entry level positions and admittance to graduate school. Winding down from our highest donor participation in the past 10 years during the 2013-14 annual giving year that ended August 31, we'd like to ask for your help with a targeted effort this year. In 2014-15 we are fully committed to expanding our base of supporters to include even more brothers, with a goal of adding 7 donors to bring our total participation to 63. Will you be one of them? Click here to make your gift to kick off our new giving year. For most Kenyon students, the end of the summer marks a crucial transition from internships and jobs back to academic life in Gambier. But for Josh Wolfson, formerly of the Class of 2015, the end of the summer did not bring the beginning of his senior year but rather a job offer. Wolfson started the summer at what he believed to be an unpaid internship for the start-up mobile and tablet advertising company Parrable. He then found himself with a full-time job offer, and decided to skip his senior year at Kenyon to help build a company from the ground up. Click here to read the full article in The Kenyon Collegian. Alumni Leadership Panel Just a Few Weeks Away! A reminder that our 3rd Annual Alumni Leadership Panel will be held Saturday, September 13 during Homecoming weekend. Alex Hetherington '89 (USMC, Retired) will serve as moderator for alumni speakers Chris Bonacci '88 (Maxillofacial Surgeon), Chuck Peruchini '91 (Navigant Consulting), Tim Stautberg '85 (E.W. Scripps Company), Scott Sterling '82 (Abercrombie & Fitch) and Will Stith '89 (Wilmington Trust Investment Advisors). Click here for full details. We recently received a message from Chapter Advisor Emeritus Doc Burns '51, who recently retired to the sunny south. He writes "Greetings from Seminole, Fla. At age 85, it's become too much to handle my farm. Jeanette and I now live in a place called Freedom Square (click Read More for contact info). It is my plan to return to Gambier each Alumni Weekend and to be out at the Lodge where I can visit with you. Tuesday evenings will seem strange, because Chi Chapter has been such a large part of my life. If you are ever in Florida near the St. Petersburg area, give me a call." With just a few days to go in the 2013-14 giving year, we need your help to boost our annual fund donation levels. Your annual fund gift helps us to maintain an active alumni relations program, including publication of communications, hosting of events like our Homecoming and Reunion Weekend celebrations, maintenance of the Lodge and mentoring of our active chapter. We have seen an increase in supporters this year, and would like to thank all brothers who have added their name to the 2013-14 Honor Roll! However, our total donations are still slightly down compared to last year, and we need your help to cross the finish line. Help us to end our giving year on a high note by making your annual fund gift before August 31. At the 2014 Karnea held in New Orleans, Chi Chapter Advisor J. Drew McFarland (Bethany College, 1983) was awarded the Alfred P. Sheriff, III Award. Drew McFarland has been involved with Chi Chapter since 1987 and has served as the Chapter Advisor since 1993. Drew is a practicing attorney with the J. Drew McFarland law offices in Granville, Ohio. In addition to his service to Chi Chapter he has also served as the chapter advisor to Ohio Weslyan University Delt chapter. Drew has also hired dozens of Delts as summer law interns over the years. The Sheriff Award is presented annually to one outstanding chapter advisor who demonstrates the qualities of former executive vice president Alfred P. Sheriff, III (Washington & Jefferson College, 1949). The award honors his ability to be a principle-centered role model, his unwavering dedication to the Fraternity at large and humble service to others. In a day and age where negative fraternity-involved events make for juicy headline news, and where the Greek culture seems to be changing from a values-based, character developing undergraduate experience to a fun-filled four-year party, it is more important than ever that we, as alumni, join forces to preserve the true legacy of the Greek experience. This blog post is a great testament to the lifelong experience of being Greek, and hopefully a good reminder to you to honor your commitment to and renew your participation with DTD in your alumni years. An excerpt from the blog reads "Being Greek means being a part of something far bigger than yourself. Not only are you part of a community, but you're also part of a history and a tradition. From the moment you're initiated until the day you die you're expected to honor your founders, breathe your values, and live your creed. While it takes someone special to receive a bid, it takes someone even more special to become an official member of one of our organizations. Being Greek is both a responsibility and a privilege." What are your thoughts? After reading the blog come back to weigh in in the comments section. 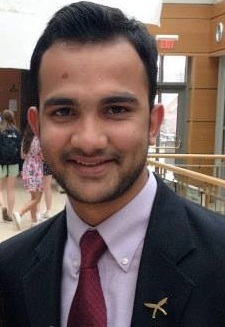 Brother Manjul Bhusal Sharma '16 was featured on the front page of Kenyon.edu for his work in Nepal. He and another Kenyon student have been tutoring students this summer at a secondary school in Kathmandu, Nepal this summer. Bhusal recalls that one of the students approached the two with a simple word, "dai", the Nepali word for "brother." Thank you to the donors who added their names to the 2013-14 Honor Roll this month, including Gerard Solis '95, Peter Luther '87, John Cannon '83 and Henry Kasson '62. Thanks to the support of all of our 2013-14 donors, we have been able to maintain our alumni relations program this year, provide support to our active chapter, and make necessary repairs to the Delt Lodge. With their support, we have reached our highest donor participation levels we've seen in the last 9 years! However, our annual fund dollars are still slightly down compared to last year. We count solely on alumni donations to continue operations, and hope you'll get involved with our efforts this year. Please join these fellow contributors and add your name to the Honor Roll in support of our alumni organization before the giving year ends August 31. Any gift, big or small, makes a difference. Urgent: Are You One of the 4 We Need? Attention alumni! As we approach the end of the giving year, we are within reach of exceeding last year's donor participation! The more dollars we have allocated to our annual fund operating budget, the more we can do to improve communications, make upgrades at the Lodge, hold more frequent events, and support the active chapter. To exceed last year's donor totals and continue our annual fund on an upward climb, we need just 4 more alumni to step up and make their annual fund donations before the giving year ends August 31. Are you one of the 4 we're looking for? 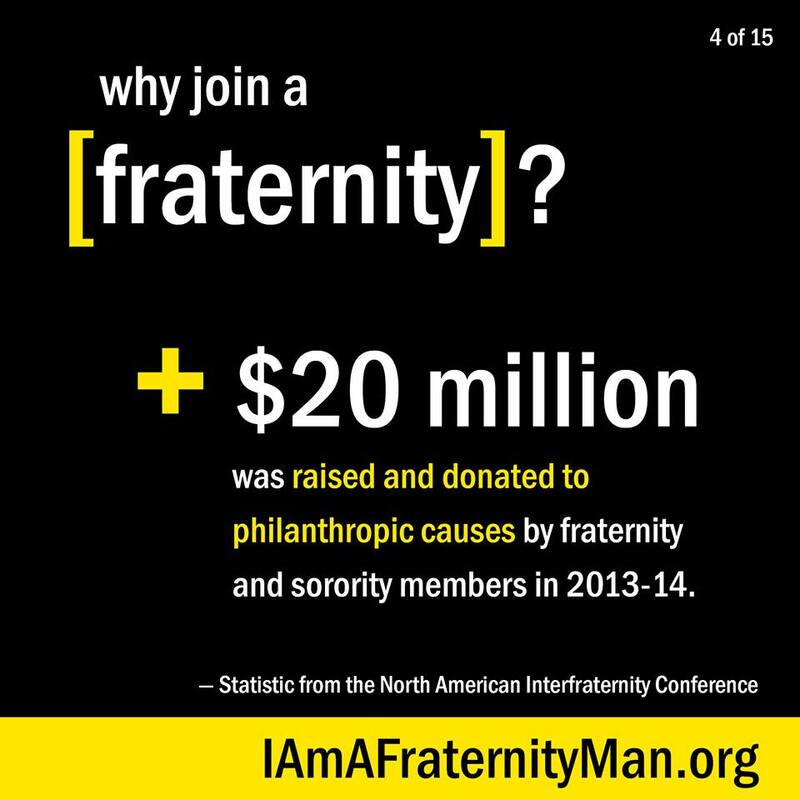 If so, please make your contribution today, and join your brothers on the Honor Roll. Chi Delt alum Karl Shefelman '80 is directing a movie. Previously Karl has done storyboards for Martin Scorsese, Francis Coppola, and Ridley Scott. Click here to stay tuned of Karl's progress on his Twitter feed. Does Greek Life truly equal happiness? A recent study by Gallup and published in The Wall Street Journal seems to indicate so. After interviewing more than 30,000 US college graduates, the study found that "...fraternity and sorority members are more likely than all other college graduates to be thriving in each of the five elements of well-being (purpose, physical, social, financial, and community). Thus, fraternity and sorority members are more likely than their non-Greek counterparts to find fulfillment in daily work and interactions, to have strong social relationships and access to the resources people need, to feel financially secure, to be physically healthy, and to take part in a true community." Click here to read more about the survey, then come back and click Read More to share your thoughts in our comments section. 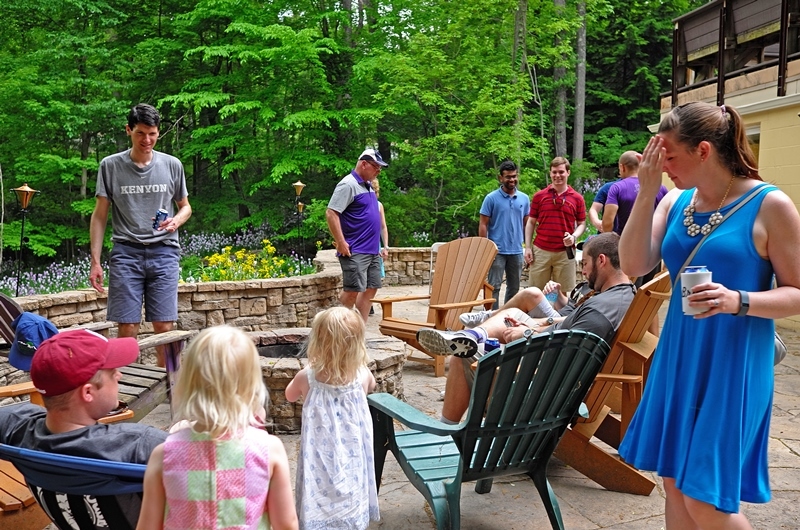 Thank you to all alumni and friends who stopped by the Delt Lodge for an open house during Kenyon's Reunion Weekend on May 24. The Chi Educational Foundation has awarded Ricardo Pereira '16 and Bheki Mhlanga '16, Manjul Bhusal Sharma '16 and Reagan Tsimikako '15 with a scholarship this past semester. The recipients were chosen by the Chapter based on their outstanding service to Chi Chapter. The Chi Educational Foundation is a separate 501(c)(3) organization which was formed as part of the Securing Our Tradition capital campaign. Donations to it are fully tax-deductible under the law. Kenyon College awarded Nolan Reisen '15 and Furqan Dar '16 with the Robert D. Burns Scholarship for the 2014-15 academic year. Established in 2010 by alumni of Delta Tau Delta Fraternity in honor of professor emeritus and long-time Delta Tau Delta faculty adviser, Robert D. Burns. The recipients were chosen by a committee of alumni and advisors of Chi Chapter including Jan Kmetko, faculty advisor, Drew McFarland, chapter advisor, Paul Schmid '04, John DePowell '02 and Sam Althans '16. The committee selected Nolan and Furqan because they represent the ideals of Delta Tau Delta Fraternity, including: academic excellence, involvement in the Fraternity and Kenyon community, leadership, and strong character. Congratulations to our 2014 graduates who have entered our alumni brotherhood. This year's graduates are William Seidel, Benjamin Huizinga, Preston Heck, Pádraig Dúna, Jake Thorn, Michael Marting and Andrew Meek. Chi Chapter recently purchased new robes for ritual and ceremonies. We've finally scanned one of the old scrapbooks with pictures from the 40s, 50s, and 60s. Full pages from the scrapbook are also posted. Check out the great photos, like this one from the 1940s, on our Facebook page. Reunion Weekend Open House Coming Up! The Reunion Weekend Open House will be held on May 24, 2014. The Delt Lodge will be open from 3:00-5:30pm and you are encouraged to bring family and friends. Congratulations to the newly initiated members of Chi Chapter! Welcome to our new brothers Drew Meeker, Will Spencer, Max Pierce, Alex O'Connor, Matt Stapylton, Taylor Eth, Saxon Justice, Evan Frazier, Nathaniel Shahan, Mark Moxford and Frankie Pallone. Manjul Sharma is using the skills and support he gained at DTD to make an impact on campus. He was recently elected as President of Kenyon's Greek Council, and also launched two new programs on campus this year: Greek Study Hours and Faculty-Greek Lunches. Seven actives, along with Chapter Advisor Doc Burns, attended the 2014 Northern Division Conference in Merrillville, Ind. Chi Chapter received two awards: Best Alumni Programming and an award for being above the all-male and all-fraternal averages in GPA at Kenyon College. Doc Burns received honorable mention for being inducted into the Distinguished Service Chapter. Several undergraduate Chi Delts are making names for themselves this semester. From studying abroad in Shanghai to promoting the advancement of Greeks to improving our chapter's image. If you haven't yet seen the 2011 renovations made to the Delt Lodge for yourself, check out this great video taken by Jeff Moritz '86. Get the Latest News updates from ChiDelts.com right on our facebook page! Chi Chapter welcomed 15 new members this academic year, through the initiation of three brothers in the fall and the recruitment of 12 new pledges this spring (up from 7 last year). The undergraduate chapter has created a Facebook page where brothers can read the latest chapter news, be the first to know upcoming event details, and reconnect with fellow alumni. Click HERE to go to our page, and be sure to "like" us. The bonds you formed in DTD have likely lasted longer than the four years you were in school. In fact, many brothers stay connected with us for better or for worse, celebrating life's milestones or consoling us in times of need. Donations from brothers like you help us to complete specific items on our wish list this year. We are counting on additional participation at the midpoint of our giving year to reach our goal of $13,000 by August 31. John Chapman '86 has announced his candidacy for Congress from the Ninth District of Massachussetts. John has an impressive biography, from his first job after Kenyon as a Counsel's Office aide in the Reagan White House, to leading investigations into Wall Street corruption and financial fraud at the U.S. Securities and Exchange Commission, to his appointment by Governor Mitt Romney as the Commissioner for the Department of Industrial Accidents, which oversees the worker's compensation system in Massachussetts. The Chi Chapter Alumni Association sends you and your family best wishes in the new year. We are pleased to announce that Ellie Horn (daughter of Byron Horn '86) is following in her father's footsteps. She was accepted to Kenyon College for next school year as a member of the Class of 2018. Do any other alumni have Kenyon legacies currently on campus or coming to the college soon? New Chapter Officers were elected in December. The officers will be installed in January and serve until December 2014. A funny thing happened to Jake Thorn '14 on his way to a medical career: He became a teacher instead. Thorn originally intended to take pre-medicine coursework at Kenyon and apply to medical school, but his openness to other possibilities swept him on a different path. "One thing I've learned over time is that the best-laid plans don't always happen in the way you envision them," he said. "I simply followed my passions as they came along." On September 21st, more than 30 alumni,actives, and invited guests of Chi Chapter convened at the Lodge for a morning of networking and mentorship marking the second annual Byron Horn Mentorship Panel. We have invested over $175,000 in capital improvements in our Lodge over the past six years. In August we installed a commercial grade epoxy floor in the lower level and framed the support posts in wood with added electrical outlets. James G. Carr (Chi '62), a senior judge on the U.S. District Court for the Northern District of Ohio and a former member of the Foreign Intelligence Surveillance Court (FISC), spoke to the Kenyon community in the Gund Gallery's Community Foundation Theater on Friday, Oct. 25. During his talk, which was co-sponsored by the Presidential Inauguration Committee and Kenyon's Center for the Study of American Democracy, Carr discussed the differences between domestic law enforcement surveillance, such as traditional wiretaps and eavesdropping, and the surveillance that agencies like the Federal Bureau of Investigation and the Central Intelligence Agency perform to gather information about the activities of foreign nationals in the United States and abroad. Through great effort from the Chapter’s actives, the 2013 rush season saw seven spring pledges being initiated with three fall pledges still in the process. The pledge class of 2013 was unique in that more than half of the class were comprised of international students. The Chapter has been very involved with a number of charitable organizations, including the American Cancer Society with Relay for Life in which we raised the highest amount of money of any greek team at Kenyon College; this was also due to a very generous donation from our Chapter advisor Doc Burns. We have worked with the American Red Cross with two recent blood-drives that drew more than 50 participants. We have had a wonderful partnership with JDRF and, over the past year managed to raise over $5000 for them. We hope to further strengthen ties with these organizations and do more for them in the future. Brothers, we're working on building out the photo album section of our website. Since Homecoming just passed, we thought we'd start with collecting Homecoming photos! Go through your camera cards or shoeboxes and find pictures of Homecomings past and present! Charles "Chuck" Peruchini '91,"as a middle-aged man saddled with professional, civic, philanthropic and family responsibilities" was kind enough to share his thoughts and memories of his time at DTD, and the people and events that made his time at Chi Chapter a memorable, precious experience. Ok, so the Christmas reference might be too soon, but you get the point. The board has compiled a list of our most pressing needs and desired activities this year. Check it out! Sometimes connections to alumni can have the most unexpected benefits. Reagan Tsimako '15 will soon be accompanying fellow Greek Genry Sayad ’86 to Shanghai, adding to his list of adventures experience with a Chi Delt active. Join us on Kenyon Homecoming Weekend for the 2nd Annual Chi Chapter Alumni Panel, part of the Byron J. Horn Leadership & Mentor Program. Robert (Rennie) Worsfield took his philanthropic roots to the road in early August as he rode for the Pan Mass Challenge benefiting Boston’s Dana Farber Cancer Institute. He was able to raise a stunning $3,386 in donations for the big event. Have you seen the changes on our website? To improve your online experience, we are excited to share our revamped web platform, complete with a visual overhaul and new features to make reconnecting easier. The website is still available at www.chidelts.com, but your username and password have changed temporarily (you can change yours back when you login the first time). Chi Chapter reported a cumulative average GPA of 3.36 at the end of the 2013 academic year. The Chapter's GPA exceeded the average fraternity GPA of 3.15, as well as the average male GPA of 3.25. Way to go guys! Chi's fabled history added a new story to its repertoire when Chapter Advisor Drew McFarland's twin daughters were born in February. Not uncommon one may think, except that McFarland is single and decided to become a parent at age 51, with the use of a surrogate. This year's Decade Challenge report is in, and we'd like to thank our brothers from the 80s for being the decade of alums with the largest number of individual donors to our annual fund programso far this year! On the top menu, visit the connect button. When the drop down menu appears, select “photos.” Then, once logged in, you can create a new album and then add photos to the album. You can also create a public or friends only photo album. Pledges so often approach the fraternity experience expecting the ultimate in social networking (okay, what those of us in the 40+ age category would call social networking.) Young men quickly learn that the experience of brotherhood provides benefits that are far more reaching and meaningful. Samuel now sees the far-reaching impact of the Delt experience. He hopes to gain lifelong friends that he can go to for everything, and be in a community of men trying to better the world. Benjamin Huizinga '14, Nick Foster '13, and Jake Thorn '14 traveled to Dekalb, Illinois last weekend to compete in the International Championship of Collegiate A Cappella (ICCA) with their group, the Ransom Notes. The quarterfinals were held at DeKald High School February 11th at 8:00 p.m. They competed against nine other talented college a capella groups in the ICCA Midwest Region. Although they did not make it to the semifinals round, the group will no doubt carry the experience and their talent with them forever. The finals will be held on April 28th at 8 p.m. at The Town Hall in New York, NY. Congratulations to the Ransom Notes in making it to the quarterfinals! Check out more about ICCA events! The Kenyon Squash Club competed in Nationals, February 17-19 and put up a pretty good fight. Member Pete Heck recalls that, "despite having two less players than we should have had, (7 against every other team's 9), we had a good showing this weekend. We lost 4-5 in the final consolation round on Sunday against Washington St. Louis after beating Vassar 5-4 on Saturday. I know Geo and I, along with the rest of our team, enjoyed our time in the city but are also happy to be back at Kenyon. We hope to have a full team next year so we can bring home another title!" Congratulations to the team and good luck in future seasons! Thank you to Christopher Burgess '91 for sharing this photo in his personal album on our site. The caption reads " Rah Rah Delta.. CHI CHI CHI". And be sure to share YOUR best DTD photos in our online albums. Click here for instructions. ...stays on spring break! Unless, of course, you want to relive those stories here. Share your tale of a particularly fun spring break road trip with DTD brothers on the message board to spark some good discussion. We want to compile the best nicknames from throughout our chapter's history, along with the stories behind them! Take a few moments to tell us about your nickname and why it was appointed, as well as the best ones you remember from your pledge class or era. Share your stories on the Message Board. Thank you to Dan Patterson '74 for participating in this Q&A. Why did you join the Delts as an undergraduate? I joined because their parties were fun and I thought I was more like them than some of the other fraternities. They had a work hard play hard attitude. The Greek Organization of the Year Award is given to the most upstanding chapter within the Greek community at Kenyon College each year. The Chi Chapter of Delta Tau Delta is the proud recipient of the award for 2012 and hopes to continue to be a leading fraternity within the Greek community. Pictured is the plaque the chapter received. Fellow brother, Nikola Popovic '12, was also named Student Leader of the Year. DTD has a lot to be proud of this year! Congratulations! For John A. Kirkpatrick III '73, the Pulitzer Prize for local reporting won by his staff at the Patriot-News in Harrisburg, Pennsylvania, was "an unbelievable moment." Kirkpatrick is the publisher and president of the newspaper. Reporter Sara Ganim and members of the Patriot-News staff won the award announced on Monday for coverage of the child sexual-abuse scandal involving Jerry Sandusky, a former football coach at Penn State University. The stories led to the firing of the late Joe Paterno, the iconic Penn State head football coach, and Penn State administrators. It is with great sadness we report that John Curtin '89 passed away after a brief illness on April 26, 2012. Did You Land a Job Thanks to DTD? DTD was filled with many fun memories, and served as the foundation for great friendships that have lasted well beyond graduation. But we know that the DTD connections have likely led to great job opportunities too. Did you land a job thanks to a career network formed at DTD? Share your story on the message board. Also, if you're looking for a new job or looking to hire, the DTD brotherhood is a great place to network. You can share your details on the message board, and hopefully find your next career path or great employee. Jeff Walker is a well known industry veteran who brings over 30 years of international sales and marketing experience, working with both cable operators and traditional service providers, to his role as Vice President of Marketing for Cedar Point. Jeff has worldwide responsibility for leading the product marketing, product management, corporate communications and customer facing application engineering teams. Kenyon DTD alumnus Bill Taylor '85 profiled in newspaper. Bill Taylor '85 was recently featured in the Memphis Daily News in recognition to his work as the president of St. George's Independent School. Click here to read the entire article. Sean Cottle '86 and Tom Freund '86 reunited in San Francisco, CA at the St. Francis Yacht Club. Do you have any reunion stories or memories? Share them on our message board! 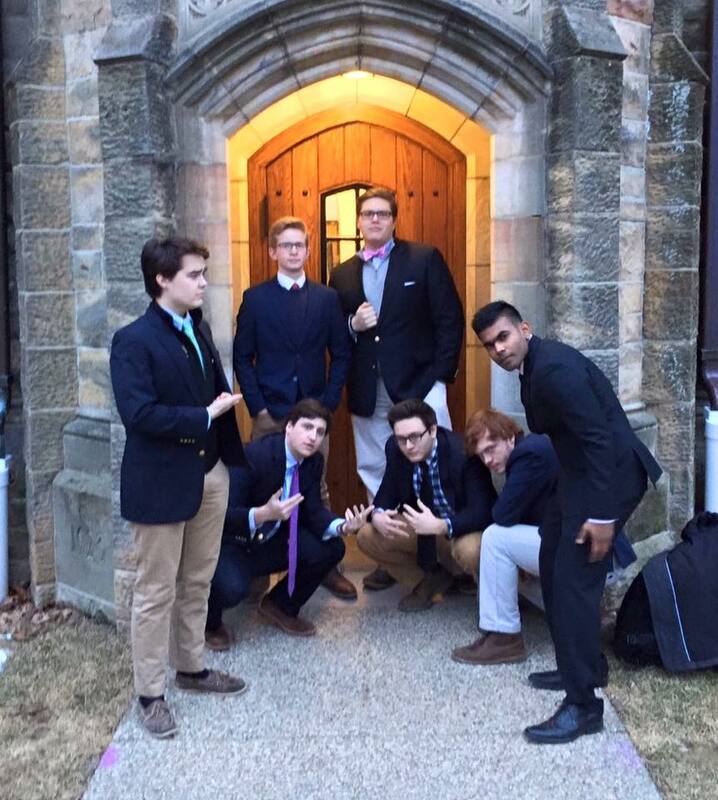 In May, several Kenyon Delts attended the funeral of John Curtin '89 in Chicago. Thank you to Jeff Mortiz for submitting this photo. Memories were shared and a good time was had by all in remembrance of John. Kevin Ward '06, Edwin Barnes '06 and Paul Gunther '06, reunited in San Francisco, CA in May 2012. Will You Be Counted this Year? As we approach the end of our giving year on August 31, we are striving to get 10% of our members to contribute to the annual fund. Right now, we have too few members carrying the burden of keeping our program alive, so we really need everyone's support. The more participation we have, the more enhancements we'll be able to make to your alumni experience. Here's your last chance this year to join the ranks of brothers who are committed to keeping the Chi legacy alive. Our Honor Roll recognizes the brothers who stand up to make a difference for DTD. Will you be counted among them this year? His distinguished career included multiple deployments to Iraq and Afghanistan. Eleven-time member and eight-time captain of the All-Marine Marathon Team, bi-annually competing against the British Royal Navy/Marine Corps. Hetherington was also the 1998 Inter-Service Marathon Champion and has been a three-time top Marine finisher at the MCM. Thank you to Dale Bessel '61 for responding to our call for stories of brothers who stood for each other in weddings, as well as reunions that take place decades after graduation. 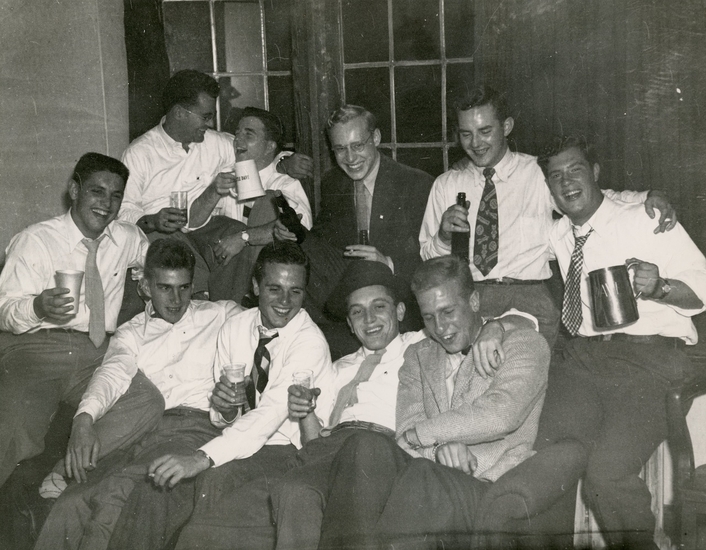 He writes, "For what it's worth, a few of us from Chi '61 have kept close ties since we left Kenyon. John Clark '61 and Rob Thomas '61 were in my wedding in '61, and Rob and I were also in John's wedding in '65. Along with another Chi brother, David Brown '61, the four of us have held several get-togethers/ golf outings over the years and keep in regular touch mainly by email. We only had 11 Delts, I believe, in our graduating class and at least 4 that we know of have died over the years. Myself, Brown, Clark, Bob Ramsay '61 and Joe Skripek '61 all made it to our 50th last year (out of 25 total), and another survivor, Phil Post '61, planned to attend but had a conflict at the last moment. Two undergraduate Chi Delts are spending the summer as Camp Counselors at URJ Jacobs Camp in Mississippi and are making the most of their opportunities to learn and have a great summer. Jacob Pleasure and Josh Wolfson are enjoying their unique opportunities and have shared tales of their personal growth on the camp's blog. You can read Jacob's entry about his new found bonds with Judaism by clicking here and Josh's entry about learning from his experiences by clicking here. Chi Chapter was well represented at the 2012 Karnea in Austin, TX. Brothers Andrew Meek '14, Padraig Duna '14, and Nolan Reisen '15 made the trip to the Lone Star Karnea as delegates to the legislative convention. Chapter advisors Drew McFarland and Bob Burns also attended. Chi's delegates contributed to passing legislation raising fraternity wide academic standards for membership, initiation, and chapter officers, as well as other measures facilitating financial accountability, and electing Arch Chapter officers including our new International President, Travis Rockey (Florida, '73). Michael Marting '14 presenting Kris Reslow '13 his award. Drew Meek '14 and Jon Rooker '13 were awarded the 2012-13 Burns Scholarships by Kenyon College. Ben Huizinga '14 was also awarded an honorary recipient. The Robert D. Burns Scholarship fund was established at Kenyon College by alumni of Chi Chapter, Delta Tau Delta Fraternity in honor of long-time Chi Chapter faculty adviser Robert Burns. The award, to be presented annually, will be given to members in good standing of Delta Tau Delta Fraternity based on financial need. The scholarship award is above and beyond the financial aid package awarded by the College. Secondary criteria will also include academic achievement, service to Chi Chapter and the Kenyon Community, leadership and character. Alumni Survey: What Do You Think? The Chi Chapter Alumni Association exists because you exist. Our promise to you is to serve and entertain you with opportunities to connect: with your experiences, with each other, and with the fraternity you became an integral part of when you pledged. You may not think so, but you are... integral, important, critical, vital, absolutely necessary. Your opinions and insights are more valuable than all our assets combined. Take this survey to help us drive our alumni program for the next 12 months in a way that matters to you. Brothers Groustra '89, Sears '89, Maurer '89, Eberhardt '89 and Mischler '89 recently reunited in Pittsburgh. The members of the Cannon Family donated funds to purchase a new grill, extend the back patio and add new stairs and path along the east side of the lodge. The grill, coined "The Cannon", is mounted on a permanent post and contains 500 square inches of grilling area. The charcoal grill has a cover to prolong grill life, a fire grate to keep charcoal off the bottom, four draft vents, warming basket, utility shelf and rotates 360 degrees. Six new cast stone stairs lead down from the parking lot to a path which leads to the grill and a 100 square foot extension of the cast stone patio. The stairs and patio match the stone installed in 2011. Chi is proud to have six members of the Cannon Family as alumni: David '45, Gerald '51, Drew '72, David '73, Brent '82, John '83. A plaque commemorating the Cannon Family's gift was mounted on the lodge wall directly behind the grill. Ben Kester '10 discusses his experience as a Fulbright Scholar. Ben was Chi Chapter President and Kenyon Class of 2010 Valedictorian. He completed a teaching Fulbright in South Korea and now attends Northwestern University Medical School. On September 15th, over 30 alumni, actives, and invited guests of Delta Tau Delta (Chi Chapter) at Kenyon College convened at The Shelter for a morning of hors d'oeurves, networking, and mentorship. The event marked the first annual Byron Horn Mentorship Panel. Undergraduates were provided with a unique opportunity to interface with established alumni in their intended career discipline. In addition to receiving valuable career advice, actives are also learning how to leverage their experiences as Delts to obtain highly competitive entry level positions and admittance to graduate school. Following a brief opening from the panel's moderator, Alex Hetherington (DTD '89), a former U.S Marine Corps helicopter pilot, each member of the panel, representing the fields of Law, Finance, Public Policy, Education, and Medicine respectively, took the podium to discuss how they chose their current professions and their time as a Delt at Kenyon College. The floor was then open for questions from the audience. Why Did You Join DTD? Old Delt Songs...Better than Anasthesia! "When my dad broke two ankles in the 80's in a car crash on a golf trip, Dr. Bell entered the operating room to perform the surgery holding a candle with the lights out singing the old Delt song that they all sang at initiation and my dad didn't even need any anesthesia because he was CRACKING UP too hard!! Dr Bell was his roommate and best buddy at Kenyon!" The Chi Chapter is pleased to announce the following awards to our fine undergraduate members. Wishing you and your family a joyous holiday season and a happy new year. If you'd like to send holiday greetings to a fellow alum, find contact information using the online directory. Looking forward to connecting with you again in 2013! Chi Delt Greg Rosenbaum '10 was featured in Forbes' 2012 "30 under 30" for Education. The listing reads: "As coordinator of the three-year-old SXSWedu conference, Rosenbaum is credited with building the program from the ground up. SXSWedu brings together innovators in education each March in Austin, Texas; guests have included public K-12 educators, school district administrators, technology entrepreneurs, and education researchers." Click here to view the listing. On December 7th, the brothers of Chi Chapter of Delta Tau Delta at Kenyon College presented a representative of the Juvenile Diabetes Research Foundation with a check for $5,818.63 for type 1 diabetes research. The money was raised during a charity event in November. For the event each Chi Chapter member mailed letters to 15-20 friends and family members seeking donations to JDRF for staying up all night in the Kenyon Athletic Center running games for the campus, such as dodgeball, for additional donations. "I told you you should have chipped in on the boss's Christmas present." "Guess the cream always rises to the top." "Bet you wish you hadn't bought that new BMW." "I could use some coffee. How about making a pot?" The Greek Council at Kenyon has received national recognition of its management and philanthropy from the Association of Fraternal Leadership and Values. According the Nolan Reisen (Chi, '15) the service coordinator for Greek Council, it was the only Greek Council application that received any sort of recognition. To read the Kenyon Collegian article on the award please click Kenyon Collegian. What Do You Miss Most about Living in Gambier? No matter how far away you are today, you share a great experience with 779 other brothers: getting to spend four (or more!) years living in Gambier. May is just several weeks away. This year, we'd like to share your thoughts, messages, and memories of those soldiers who have served their country. Maybe you want to send well-wishes to a brother who may have lost a family member in Afghanistan or Iraq? Or you simply want to share a fond memory of a long-lost brother who died in combat? Now you can. Chi Chapter was presented with the JDRF Service Award at the 2013 Northern Division Conference held in February 2013 in Columbus, Ohio. Chi Chapter was honored with this award in recognition of their dedication to the national philanthropic partnership with the Juvenile Diabetes Research Foundation. Delts at Kenyon raised over $6,000 towards diabetes research in December, 2012. May is just several weeks away. This year, we’d like to share your thoughts, messages, and memories of those soldiers who have served their country. Maybe you want to send well-wishes to a brother who may have lost a family member in Afghanistan or Iraq? Or you simply want to share a fond memory of a long-lost brother who died in combat? Now you can. Let’s properly remember those who fought to preserve our freedom. May we never forget those heroes who died serving our country, the families who loved them and whom they loved. As Phil Moyles (Chi, '86) would say, the bulls are running on Middle Path as Chi Delts lock up some “sweet, sweet...” summer internships and full time gigs with more in the pipeline. From New York and New Hampshire to Hollywood and Silicon Valley, Delts have secured positions that will provide them with exciting endeavors. Henry Burbank and Michael Marting are doing the finance thing. Henry will be an economic analyst at the Demand Institute in Manhattan. Michael will be studying at Dartmouth’s Tuck School of Business while hustling tickets to Winter Carnival. Josh Wolfson and Reagan Tsimakoko will be in LA. Josh is working with Chainsaw Editing, an Emmy-winning post production shop for movies and advertising agencies. Reagan is working with a charter school teaching Mandarin to inner city youth before he heads to Beijing to study more Mandarin and international business in the fall…Reagan wins the world traveler award because he jumped from the wilds of Botswana to Gambier and now off to Beijing. Will Seidel and Manjul Bhusal-Sharma will be channeling their inner William Shatner. Will is working with Priceline on finance/marketing. Manjul is playing rocket scientist with Kenyon’s Physics studs working on temperature-controlled ellipsometry aka advanced materials and thin films. Very, very removed from the bottle rocket fights of A-1 back in the day. Pete Heck and Jake Thorne are being Founding Fathers. Pete is working at Washington College on Maryland’s Eastern Shore, while Jake is working as a John W. Adams Summer Legal Scholar in DC after a year abroad in merry old England. Jacob Pleasure and Nolan Reisen are teaching youth at two world class summer camps. Jacob is spending the summer at a very cool camp in Utica, Mississippi. Reports from Middle Leonard are unclear if Nolan will be joining Jacob for a second summer in the deep south or working at the USOC Training Facility in Boulder. Our bet in on Utica. Last but not least, a big shout out to Dan Glaser, who has accepted a full-time gig at Investment Real Estate Service, a successful real estate investment company in Los Angeles. Forest Grove, Oregon, native Dan Rooker ’12 took full advantage of the mentorship program when he was ready to start his post-college career. After earning his degree in physics, Dan graduated and became a para planner for a hybrid registered investment advisory firm (RIA) just outside of Cleveland. Who was your mentor and how did he help you? I had the privilege of having contact with a number of Chi alums (and Kenyon alums) over the course of my senior year at Kenyon. I was assigned two mentors, Rennie Worsfold ’86 and Michael Pariano ’81. Rennie hooked me up with Rob Ix ’87 (in Boston). At the beginning of my senior year, I went down to Columbus and had a lunch talk with Tim Glasser ’80. Last summer, I also talked with Steve Neri ’84. Aside from that, just using the Kenyon Career Network, I was able to meet up with a handful of other Kenyon alums in the field of finance in Atlanta, New York City, and D.C. They weren’t all Chi Delts, but they all were willing to meet and talk with me and provide insight into my job/career search. None of them offered me a job, but that’s not what I expected. I wanted their opinion, I wanted to connect, and that is exactly what I got from all of them. I have had meaningful conversations with Jeff Moritz ’86 and Don Guest and Dennis Mulvihill ’88. They provided their back-stories, their version of how they approached everyday life, and the take-home message from all this social digging is that “you create you.” There is no one way to get to where I want to go. But I’m taking strides in the right direction to be who I want to be and I have a multitude of mentors to thank for that conclusion. Describe how you became involved in the program? I became involved in the program more of as a matter of incident. Michael Marting ’14 got us seniors on board because we upperclassmen were looking for jobs, not summer internships. The reality of today’s world is most recent grads have to go through an internship to get a full-time job because no one wants to stake a handsome salary on some green kid just out of college. In fact, I had a summer internship at a wealth management firm in Columbus and it’s that internship post-college combined with an internship in Manhattan the summer before my senior year that got me to where I am. How do you think Chi’s mentorship program compares to others on campus? I think the only relevant comparison to Chi’s mentorship program is the school-wide Kenyon Career Network. So, if you discount the KCN, we’re unrivaled and this is awesome! This is just my word for it. For all I know, the DKEs or BETAs could very well have a mentorship program in place that they don’t talk about. Do you feel that DTD goes above and beyond to help undergraduates transition into adulthood? • Don Guest – He got me connected with my current employer (my current employer previously worked for a company I was interviewing with spring of 2012 and was a one-day mentor for that interview) with whom I stayed connected with the summer after I graduated and who asked me to come work for him at the end of the summer when he saw I might get hired from that firm in Columbus. Don might send out a crazy number of emails, but he gets his point across, and I respect him for that. • Jeff Moritz – He’s always there. He’s the one Delt alum that I knew about from Day 1 as a pledge. • Alex Hetherington – He’s been working a lot with my brother and a couple guys in my brother’s (class of 2013) class. The current actives all look up to him. • Dennis Mulvihill – I just recently met with him for lunch, one of a handful of times I met him over the course of swimming at Kenyon and as a Delt. I know that, over the years, I’ll stay in contact with him because I respect his outlook on life. Do you attribute your current success to the mentorship program? Suffice it to say I wouldn’t be where I am today if Don hadn’t gotten up at god-knows-how-early Sunday morning and emailed my current employer. I could have been back in Oregon working and living in Portland near my parents’ house instead of living independently in Cleveland, far from family but close to friends. What might you say to alumni to encourage them to participate in the mentorship program? It’s crazy how just reaching out to a friend to pass on a phone number or email or resumé can affect an undergrad’s future career. I want to stay or be in a career position that allows me 1:1 conversations with people I care about. I don’t want to find myself in a lab, with closed-door policies to visitors. I want to have an open-window office with a nice view, doors open to clients who need my professional help. So in this way, I suppose I’m describing a financial planner. But it doesn’t have to be that. But I don’t know what that is yet. I’m just happy to be working, and if/when I move on, I’ll be ready to. Thank you to Robert Rowe ’56 for participating in this semester’s alumni Q&A. If you could go back in time, what’s the one piece of advice you’d give to your college-aged self? Focus on what is at hand; don’t worry about uncontrollable but focus on what I can do. What is your favorite DTD tradition? Why? The comradery of singing down Middle Path after our meetings at the Lodge are the most cherished part of my DTD memories. What do you miss the most about the Kenyon campus? First, it is the people on the campus; second would be the heavily-treed landscaping of the Kenyon campus. Share an update on what’s new in your life. My wife, Doris, and I try to stay young with at least one big trip every 18 months or so—usually overseas and never where we have been before. And we are into giving time and talent at our church. They say there’s strength in numbers, so we need your help. Last year we received donations from 49 donors totaling $8,700, but there’s still a long way to go. With over 780 active alumni those 49 contributors represent only 6.3% of our alumni brotherhood! This year, we hope to see at least 10%, or 78, of our alumni donate to the annual fund. With your help this is well within our capabilities! If you haven’t made your gift yet this year, please assist in strengthening our chapter. Contribute online today by clicking here.